City an Los Angeles' Spring Break - April 20, 2013. City an Los Angeles' Spring Break - April 20, 2013. Wallpaper and background images in the Ed Westwick club tagged: ed westwick 2013. 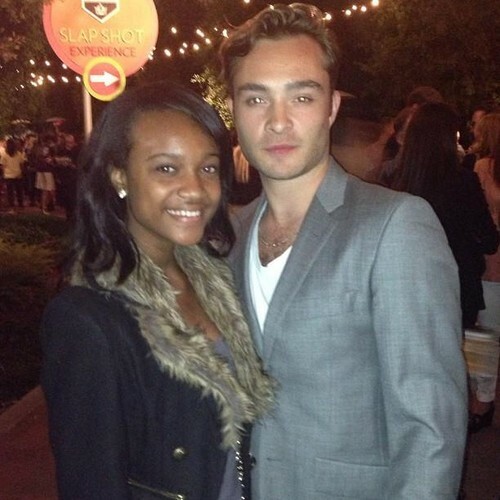 This Ed Westwick photo might contain manteau de fourrure, col de fourrure, la fourrure accent, accent de fourrure, fourrure, manteau, and col en fourrure.